Cosmetic injectables, like dermal fillers, have become increasingly popular in recent years. Hyaluronic acid, in particular, is the most commonly used dermal filler, accounting for more than 92% of all dermal fillers in the United States in 2015. In this article, various aspects of hyaluronic acid fillers will be discussed, including regulation, physical characteristics and uses, and a quick primer on other commonly used FDA-approved classes of dermal fillers. 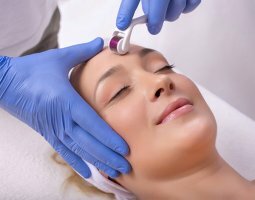 The most common issue with dermal fillers is actually a lack of regulation; in 2013, a report by the Department of Health (DOH) termed this as a “crisis waiting to happen.” In the United Kingdom, dermal fillers are classified as a medical device rather than a drug, meaning that dermal fillers can be used cosmetically without being subject to the EU General Product Safety Directive, Care Quality Commission (CQC), or CE standards. Given this, practitioners usually turn to guidelines established by the United State’s FDA. This approach is not without its drawbacks, including the fact that only a limited number of hyaluronic acid dermal fillers are FDA-approved for specific indications, so this approach of turning to the FDA is intrinsically limited. Due in part to this limitation, it is widely understood that practitioners work on the basis of clinical judgement rather than following these guidelines to the letter. Hyaluronic acid is present throughout the human body and is a major component of the extracellular matrix. Its structure is that of a long linear polysaccharide polymer that consists of repetitive disaccharide units of glucuronic acid and N-acetylglucosamine. Hyaluronic acid polymers can vary in length, which in turn influences its weight. The weight of the hyaluronic acid chain impacts their behaviour within the tissue; high-molecular weight hyaluronic acid chains are involved in inflammation reduction and angiogenesis, while polymers with low molecular mass can act to increase inflammation and angiogenesis. About 50% of the total hyaluronic acid in the body is located in the skin. In the skin, hyaluronic acid acts as a scaffold for the extracellular matrix, giving hydration, turgor, and rigidity while at the same time allowing for cellular movement and regeneration. Hyaluronic acid also functions to protect the skin from free radical damage, especially against UVA and UVB rays. In the tissue, hyaluronic acid is quickly metabolized, with a turnover rate a third of total body hyaluronic acid that occurs daily. In the body, hyaluronic acid levels are regulated by the balance between hyaluronan synthases, including HAS1, HAS2, and HAS3, and hyaluronidases, including HYAL1, HYAL2, and HYAL3. Due to its ability to degrade hyaluronic acid, hyaluronidases have been used to reverse the effects of hyaluronic acid filler treatments. Hyaluronidases can be categorized based on their mode of action: mammalian (endo-Beta-N-acetylhexosaminidase), leech/hookworm (endo-Beta-D-glucuronidase), and microbial (Hyaluronate lyase). The most popular treatment in the UK by far is Hyalase, which is derived from the testes of sheep. That being said, microbial and human preparations of hyaluronidases appear to be better in terms of safety and non-immunogenicity. Hyaluronic acid dermal fillers are composed of long hyaluronic acid chains that are usually crossed-linked with chemicals like 1,4-butanedioldiglycidyl ether (BDDE) for Restylane, Belotero, and Juvederm; 1,2,7,8-diepoxyoctane (DEO) for Puragen; or divinyl sulfone (DVX) for Hylaform, and are then suspended in a physiological or phosphate-buffered solution. The product is subsequently processed as either a homogenous gel or a suspension of particles contained within a gel carrier. As different manufacturers have various manufacturing methods to make their dermal filler gels, there is a remarkable selection of fillers with unique properties in terms of particle size, degree of cross-linkage, and concentration. These physical characteristics determine the clinical performance profile of the filler. In addition to chemical modification, chains of hyaluronic acid can also be stabilised using hydrogen bonds to form stable complexes. Fillers stabilized in this manner can help mitigate the risk of hypersensitivity reactions due to the absence of chemical agents in their formulations. Hyaluronic acid fillers can be grouped according their particulate forms. Monophasic gels have a single phase of hyaluronic acid. Monophasic gels can be subdivided into monodensified gels, such as Juvederm and Teosyal fillers, in which hyaluronic acid is mixed and cross-linked in a single step, or polydensified gels, such as Belotero fillers, where hyaluronic acid goes through two stages of cross-linking. Biphasic gels, on the other hand, have two phases of hyaluronic acid, which is usually cross-linked hyaluronic acid of a specific size that is then suspended together with non-crosslinked hyaluronic acid, which serves as a carrier. In aesthetic literature, much debate about the superiority of one gel type over the other continues; however, it is more likely that no one method is empirically better than the other. Rather, some fillers are better suited for different cases, as the desirability of the physical characteristics of a filler will vary by therapeutic indication. This will be discussed in further detail below. The rheological properties of a dermal filler —that is, the physical characteristics that affect the way the material responds to deforming forces—are instrumental to determining the performance of the product. Once implanted, dermal fillers are subjected to external pressures, like shearing, compression, gravity, and vertical compression and stretch from facial muscle movement. Practitioners should understand the way fillers will respond when injected into a specific area or skin layer so as to be able to then tailor and select the most suitable filler for producing optimal results. Complex modulus (G*): Sometimes referred to as the filler’s hardness, the complex modulus represents how difficult it is to alter the shape of the filler. Elastic modulus (G’): A measure of a filler’s stiffness and its ability to resist deformation under external pressure. Cohesivity: The lifting capacity of a filler. Cohesivity is determined by the concentration of hyaluronic acid and the degree of cross-linking. Viscous modulus (G”): The inability of a filler to recover its shape completely after the shear stress is removed. Mid-face – Fillers are placed deep- or sub-dermally in the cheeks with the aims of volume restoration and achieving projection. Thus, the ideal filler in this area is one that can withstand shear deformation and compression, have minimal displacement, and is able to maintain its shape. To achieve these, the filler should be highly elastic but have low viscosity in order to allow for ease of injection. Suitable fillers therefore should have medium to high cohesivity. Examples of such fillers include Juvederm Voluma, Belotero Volume, Restylane Lyft, Teosyal Ultra Deep and Teosyal Ultimate. Fine Lines and Lips – For these indications, the filler used should be able to effectively restore volume in the intradermal and sub-dermal planes. It should be volumizing without adding too much bulk and should be easily mouldable and spreadable. Suitable fillers in these areas will have low viscosity, elasticity, and cohesivity properties. Some examples of fillers meeting this criteria includes Juvederm Volbella, Teosyal RHA 2, Restylane Kysse, Restylane Refyne, Teosyal Global Action, and Belotero Balance. Lower Face – Filler used in the lower face are placed in the deep dermal or subdermal planes for the purposes of restoring volume. In these areas, the suitable filler should confer minimal projection, be non-palpable, and should be highly mouldable. The desirable rheological properties of a filler for these purposes include moderate elasticity, low-medium cohesivity, and, for ease of injection, low viscosity. Fillers that have such properties include Juvederm Volift, Restylane Refyne, Belotero Intense, Teosyal Global Action, and Teosyal RHA 3. Nose and Chin - Treatments in the nose and chin are usually for nasal and chin projection. Thus, the filler should have a minimal lateral spread while conferring maximum vertical projection. A filler suitable to treat the nose and chin should have low viscosity (for ease of injection), high elasticity, and high cohesivity. Such fillers include Belotero Volume, Restylane Lyft, Juvederm Voluma, and Teosyal Ultimate. Fillers made of materials other than hyaluronic acid are also available and have their own efficacy and safety profiles. Some of these fillers are discussed below. Marketed under the brand name Radiesse, CaHA fillers were first approved for the correction of facial lipoatrophy in HIV patients, as well as for correcting moderate wrinkles and skin folds.3 This filler is made of 30% calcium hydroxylapatite microspheres suspended in a 70% gel carrier. The calcium derivative in the filler is identical to the compound found in human bones and teeth. Due to this, Radiesse is non-immunogenic and fully resorbable. This filler confers results that last for approximately 12 months. PLLA stimulates fibroblasts’ synthesis of collagen, with results lasting for up to two years. This treatment necessitates multiple sessions in order to generate optimal outcomes. Previously, there have been concerns regarding the filler’s propensity to cause delayed development of palpable nodules. However, multiple studies have created recommendations that reduce the risk of nodule formation, including a longer hydration time, adequate dilution, the addition of lidocaine, and the proper handling of the vials. Sold as Sculptra, PLLA fillers were first FDA-approved in 2004 for the correction of facial lipoatrophy in HIV patients. Polymethylmethacrylate (PMMA) fillers consist of microspheres of the material suspended in bovine collagen. The filler works by stimulating fibroblasts to encapsulate each PMMA microparticle to augment soft tissue via fibroplasia. The only FDA-approved PMMA filler to date is Artefill, which has been approved for nasolabial fold correction and treating acne scars. Previous formulations of Artefill has been shown to cause the significantly high rate of granuloma formation of 2.5%. This filler not only differs from other fillers in its material but in terms of its duration of action: unlike conventional hyaluronic acid fillers, the effects of Artefill are permanent. This means that reversing the effects of treatment require surgical interventions. Furthermore, as some of the constituents of Artefill are derived from animal sources, skin testing prior to treatment is advisable. The collagen used as material for dermal fillers can be derived from porcine, bovine, or human sources. These may then be mixed with other materials such as PMMA or another gel carrier. Collagen fillers are used for the correction of scars and wrinkles if injected superficially and the treatment of deep folds and facial contours if injected deeply. Other less commonly used fillers include dextran particles, autologous fat transfer, polyacrylamide gel, polycaprolactone, and agarose gel. These fillers are all FDA-approved, but they are not as popular as the other fillers discussed above. Certain patients are not suitable for hyaluronic acid filler injections. These include patients with active infections or with known hypersensitivities to the filler or to other components of the product, such as lidocaine. Additionally, patients with risk factors that could impact treatment and recovery should be identified and monitored more closely. Patients that fall under this category include those with certain physical issues, such as immunosuppression, dermatological problems, autoimmune disease, or diabetes, and psychological issues, like body dysmorphia, anxiety, or depression. All dermal fillers carry the risk of complications. Beyond the expected injection-related effects of redness, swelling, and bruising, patients should be informed of more serious potential risks. For one, infections following filler treatment, although rare, can be very dangerous if they occur. Infections can be caused by bacteria, fungi, or viruses, and can even be biofilm-mediated. The latter occurs when infection-causing agents remain hidden within a biofilm and are out of reach of the immune system and antibiotics. Biofilm-mediated infections can be extremely harmful, leading to adverse effects, like granulomatous inflammation, abscesses, nodules, and recurrent infection. As antibiotics are ineffective for treating biofilm-mediated infections, surgical debridement or excision of the filler material is often necessary. In these instances, the use of an easily dissolved material for filler, such as hyaluronic acid, is of particular benefit. On occasion, nodule formation or granulomatous inflammation may occur as a result of an irregular tissue reaction to the procedure. Treatment for these unwanted consequences entail injections of either cortisone, triamcinolone acetonide, or topical application of 5-florouracil. Surgical excision may be suitable in certain circumstances. Another side effect to be aware of are anaphylactic reactions. These are typically rare, but they are very serious should they occur. Patients experiencing anaphylaxis can be saved by rapid treatment; is it vital, then, that practitioners who offer injectable procedures are up-to date on anaphylaxis management training and house the proper equipment on hand at all times. Use of a cannula rather than a needle. The wider diameter of the blunt-tip cannula is far less likely to pierce through a blood vessel and is better to aspirate for flashback. Practising needle aspiration prior to injection. Only administer small amounts of the filler into a single area. Large amounts into a blood vessel can be potentially lethal to the patient. Using retrograde rather than anterograde injection of filler. Retrograde injection is associated with a lower risk of intravascular injection. Injecting the filler slowly to reduce pressure damage. Hyaluronic acid has the appropriate properties to make it function well as a biomaterial. However, to make hyaluronic acid a functional soft tissue augmentation agent, hyaluronic acid has to be stabilised, usually through modification via cross-linking proteins, such as 1,4-BDDE. This results in hyaluronic acid being more resistant to degradation and improves its longevity of results in the skin. Due to the various technologies used for manufacturing hyaluronic acid dermal fillers, fillers with very different rheological and physical characteristics have emerged. This diversity in fillers is beneficial, as there is now a wide selection of fillers for the practitioner to choose from based on the aesthetic indication at hand. This allows them to optimize and tailor the treatment and get the best outcomes for their patients. Erickson M, Stern R, ‘Chain gangs: new aspects of hyaluronan metabolism,’ Biochem Res Int, 2012. Reed RK, Lilja K, Laurent TC, ‘Hyaluronan in the rat with special reference to the skin’, Acta Physiol Scand, 1988 Nov;134(3):405–11. Triggs-Raine B, Natowicz MR. Biology of hyaluronan: Insights from genetic disorders of hyaluronan metabolism. World J Biol Chem. 2015 Aug;6(3):110–20. Laurent TC, Laurent UB, Fraser JR, ‘Serum hyaluronan as a disease marker’, Ann Med, 1996 Jun;28(3):241–53. Schiller S, Dorfman A, ‘The metabolism of mucopolysaccharides in animals. IV. The influence of insulin’, J Biol Chem, 1957 Aug;227(2):625–32. MEYER K, RAPPORT MM. Hyaluronidases. Adv Enzymol Relat Subj Biochem. 1952;13:199–236. Yeom J, Bhang SH, Kim B-S, Seo MS, Hwang EJ, Cho IH, et al. Effect of cross-linking reagents for hyaluronic acid hydrogel dermal fillers on tissue augmentation and regeneration. Bioconjug Chem. (2010) Feb;21(2):240–7. Edsman K, Nord LI, hrlund K, L rkner H, Kenne AH. Gel Properties of Hyaluronic Acid Dermal Fillers. Dermatologic Surgery. 2012 Jul;38(7pt2):1170–9. Prasetyo AD, Prager W, Rubin MG, Moretti EA, Nikolis A. Hyaluronic acid fillers with cohesive polydensified matrix for soft-tissue augmentation and rejuvenation: a literature review. Clin Cosmet Investig Dermatol. 2016;9:257–80. Pierre S, Liew S, Bernardin A. Basics of dermal filler rheology. Dermatol Surg. (2015) Apr;41 Suppl 1:S120–6. Kablik J, Monheit GD, Yu L, Chang G, Gershkovich J. Comparative physical properties of hyaluronic acid dermal fillers. Dermatologic Surgery. 2009 Feb;35 Suppl 1:302–12. Woerle B, Hanke CW, Sattler G. Poly-L-lactic acid: a temporary filler for soft tissue augmentation. J Drugs Dermatol. 2004 Jul;3(4):385–9. Alessio R, Rzany B, Eve L, Grangier Y, Herranz P, Olivier-Masveyraud F, et al. European expert recommendations on the use of injectable poly-L-lactic acid for facial rejuvenation. J Drugs Dermatol. 2014 Sep;13(9):1057–66. Lisa C. Kates, and Rebecca Fitzgerald, Poly-L-Lactic Acid Injection for HIV-Associated Facial Lipoatrophy: Treatment Principles, Case Studies, and Literature Review (2008) https://oup.silverchair-cdn.com/oup/ backfile/Content_public/Journal/asj/28/4/10.1016/j.asj.2008.06.005/2/28-4 397.pdf? Lemperle G, Romano JJ, Busso M, ‘Soft tissue augmentation with artecoll: 10-year history, indications, techniques, and complications’, Dermatol Surg, 2003 Jun;29(6):573–87. Lafaille P, Benedetto A. Fillers: Contraindications, Side Effects and Precautions. J Cutan Aesthet Surg. India: Medknow Publications; 3(1):16–9. Cohen JL. Understanding, avoiding, and managing dermal filler complications. Dermatol Surg. (2008) Jun;34 Suppl 1:S92–9. DeLorenzi C, ‘Complications of injectable fillers, part I,’ Aesthet Surg J, 2013 May;33(4):561–75. DeLorenzi C, ‘Complications of injectable fillers, part 2: vascular complications’, Aesthet Surg J, 2014 May;34(4):584–600.